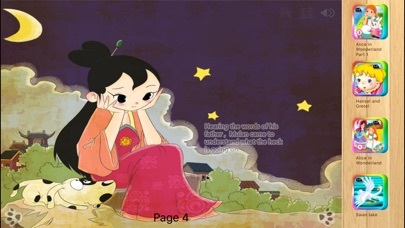 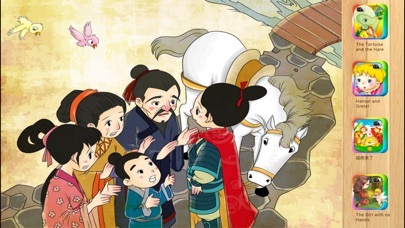 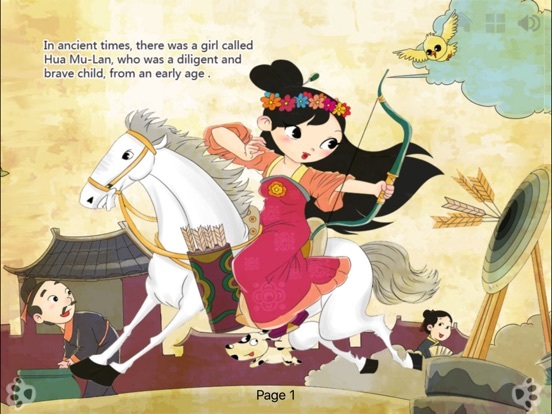 The best reading experience - Children's classic story "Hua Mu-Lan" now available. 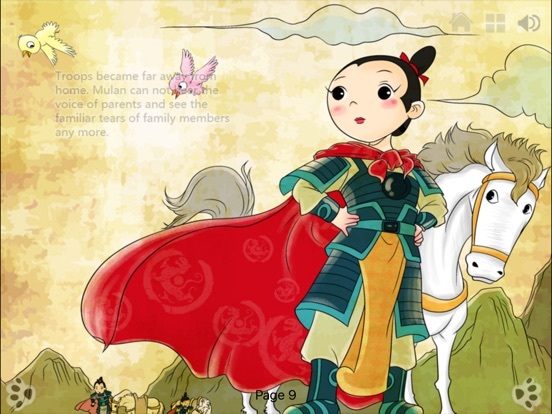 Classic story in new multimedia form: realistically designed story book, with unique sound and animation. 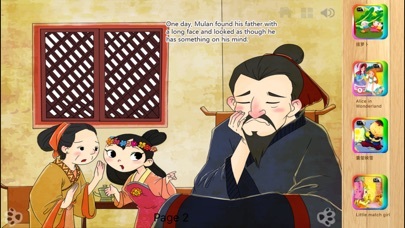 Your children can interact with characters inside. 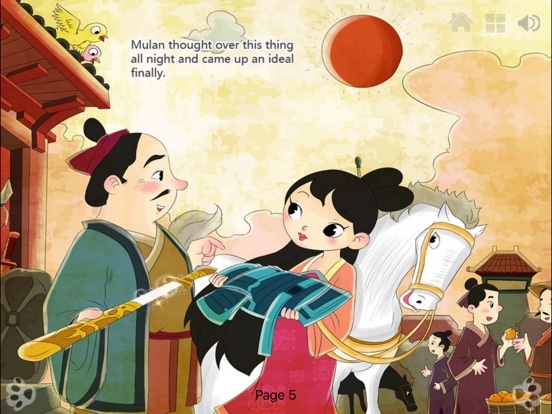 Sliding the scene inside the window, proficient with bows, hit the hateful enemy... incredible digitally-redesigned pages with every detail inside. 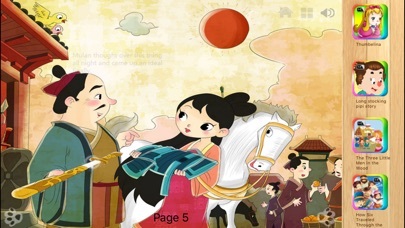 • Stunning animation effect on each page: windows,Ingot,bows etc. 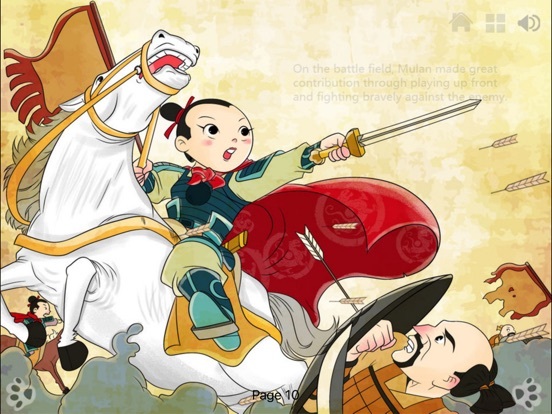 • Revolutionary redesigned interactive animations. 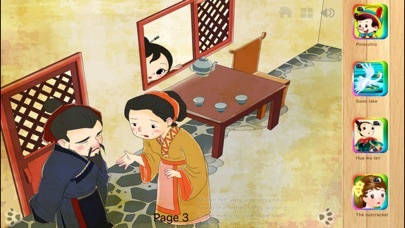 Imagine you are the Hua Mu-Lan, and you can interact almost everything on the screen.